OnePlus has brought in a number of people from Paranoid Android to steer its development team, including the custom ROM's co-founders Aaron Gascoigne and Jesús David Gulfo Agudelo. Arz Bhatia, Paranoid Android's lead designer and the creator of many popular themes, will lead the design efforts for OxygenOS. Other contributors include Carlo Savignano and Hieu Nguyen. In short, go to this page and pick a few names from the top. Of course, they're not the only ones involved, and overall there are over 50 more people at work. OnePlus says that it is developing OxygenOS with an emphasis on battery life, performance, system efficiency, and keeping the user interface clean. The company promises that its ROM will not ship with any bloatware. 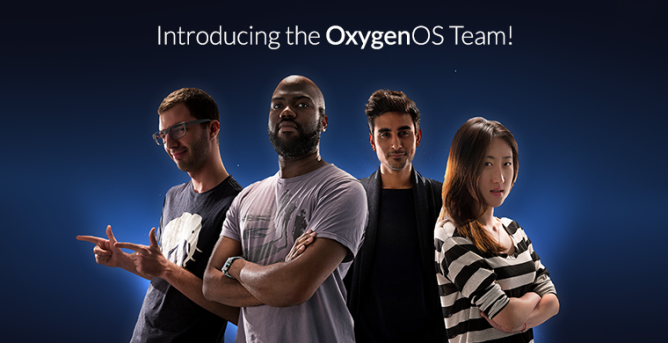 Several of the developers will be around for an OxygenOS-focused reddit AMAA on /r/Android at 8AM PST today.